Turn off the power to your A/C unit. The exterior power circuit is in a small box mounted to the side of your home. Simply lift the metal or plastic cover to find the switch, which might be red. Flip the switch to the “Off” position and close the lid. Turning off the A/C prevents the risk of electrocution as you perform maintenance tasks. 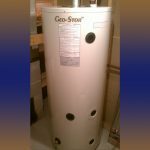 It keeps the A/C from turning on during an unseasonable warm day, as well as keep out water that could freeze and damage the condensing unit. Clean the A/C unit. Use a broom to sweep off leaves, twigs and other debris on and surrounding the A/C. Then use a hose to wash off dirt, dust and bird droppings. Then allow the unit to dry. Cleaning the air conditioner prevents it from getting clogged and breaking down when you use it during the spring and summer. Inspect the A/C unit. Look for cracks and rust in the casing, as well as leaks and other irregularities. Make sure the seals are tight and not cracked. While these issues may seem benign, they may cause major problems in the future. If you find any of these issues during your air conditioner maintenance, contact a licensed HVAC contractor, such as Air Therm Co., Inc.
Add extra insulation. Use foam pipe covers around the A/C unit’s exposed pipes and wiring, particularly those that go into your home. Use duct tape to keep the foam insulation in place. The insulation keeps wires and the fluid within pipes from freezing, which keeps the pipes from cracking. Leave it. While the old school train-of-thought was to cover your air conditioning unit for the winter, take it from Air Therm that you shouldn’t. Covering the unit entirely will restrict air flow and trap moisture, leading to problems. Instead, you could cut a piece of plywood or tarp to fit on the top of the unit and use that during the colder months to protect it. Either way, be sure to check on your AC unit throughout the winter to ensure it’s safe and sound. Unit Stability. Make sure summer rainfall and flash flooding has not loosened the ground beneath your unit, causing it to wobble when it is running. Do you hear unusual noises? If your unit is making unusual sounds, you should have it inspected by a professional technician. Do you smell unusual odors? If unfamiliar odors are emanating from your HVAC system, you should contact a professional as soon as possible. 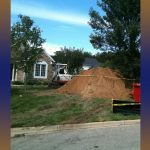 Are there limbs or trees leaning toward your unit? Summer storms may have damaged trees in your yard, causing them to threaten your house and system. If you see black marks or other signs of electrical damage, it could indicate you have a grounded or shorted wire in your system. Electrical damage threatens the integrity of your system and is a fire hazard. You should have your unit inspected immediately. Take Care of Your Air Filter. Your AC worked hard for you through the hot Savannah season. Before you give your AC time off for the colder months, check your air filter and exchange it if it’s dirty. This will help your air conditioner operate more efficiently and keep dust and pollutants from circulating through your house as the seasons change. Let Some Fresh Air In. Now that the temps are decreasing, take the opportunity to open the windows and give your indoor air quality a boost. The air inside your home can be several times more polluted than outdoor air, so take this opportunity to bring in fresh air before winter’s chill begins. Be Sure Vents and Registers are Clear. Sometimes furniture gets shifted around as you move from outdoor living in the warmer months to being inside more as the days get cooler and shorter. Make sure none of your vents or registers are blocked as you rearrange. This will make it a challenge for your HVAC system to do what it needs to do and could cause an unwelcomed hike in your utility costs. Check for Air Leaks. The heat of summer can put wear on weather-stripping. Examine your windows and doors for leaks that could end up allowing heated air out of your home this winter. Air leaks are responsible for reducing heating efficiency and increasing your heating bills. Halt leaks by replacing caulking and weather-stripping where needed. 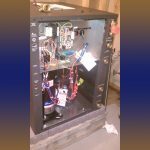 Schedule a Heating System Rejuvenation & Safety Check. 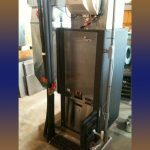 Once your AC is ready to step aside for the winter, it’s time to take care of your winter workhorse: your furnace. 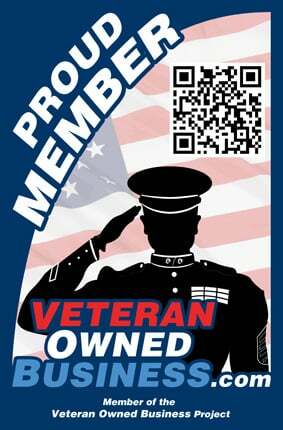 Call Air Therm Co., Inc. to perform preventive maintenance checkup. We’ll be sure your furnace is clean and operating smoothly before winter arrives. During your preventive maintenance, we’ll also pinpoint and let you know what needs to be done to fix any potential issues that may come up when your furnace is in regular use. Test Your Carbon Monoxide Detector. Before heating season starts, test your carbon monoxide detector. It pays to be sure your carbon monoxide and smoke detectors are operating properly and have a new set of batteries installed. When it comes to DIY A/C maintenance there’s only so much you can do. To keep your air conditioning to the best of its abilities, you must call in the expert professionals every now and then. Change of season is the perfect time to schedule a maintenance check up and plan for a/c repairs. Spending few bucks on regular maintenance can save you plenty more in the long run. 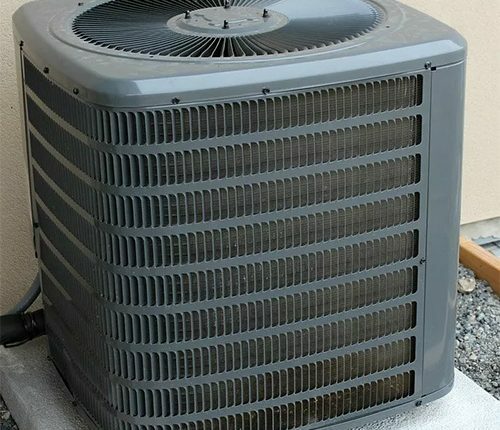 Plus, the peace of mind you’ll get knowing your AC unit will be up and running in an instant the next season is totally worth the maintenance cost.